It is vital that all production, processing and warehouse businesses keep high level structures and surfaces clean on a scheduled basis. In contrast to floors and easy to reach surfaces, it can be easy to forget that high level cleaning must be carried out, in order to meet health and safety/hygiene standards. However, this does not mean it will be overlooked, should the relevant authorities arrive onsite. 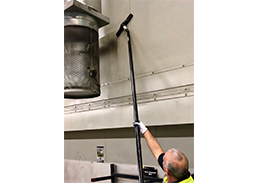 High level cleaning will often be required in sensitive areas, such as food preparation areas, production lines and warehousing operations. In these environments it’s important to keep high level surfaces, such as pipework and roof structures, clean from grime and dust. High levels of dust and dirt can cause serious problems for the infrastructure of the building, not to mention any expensive machinery it may affect in the short or long term. Care must be taken with every stage of a high-level clean, and the environment the cleaning takes places in has to be fully respected always. Our specialist management team and operatives will always look to work with your business needs, and keep you informed of the plans at every stage. Specialist high level cleaning within sensitive environments, requires a trained and professional team. The work can often be dangerous and requires a high degree of skill and experience. 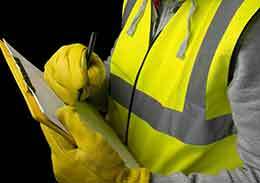 Ryemead teams are IPAF qualified to prepare and safely operate various types of MEWPs.